Straight fabric banners are a unique way to grab attention and show your brand at any event or tradeshow. Unlike traditional setups, straight fabric banners act as an eye catching way to attract responsiveness, creating a memorable impact with your target audience and potential customers. The size will be sure to stand out and beautiful colors are sure to be noticed. Do not be fooled by the size of the straight fabric banner, the lightweight frames and fabric allows for a stunning display that is also easy to move around and set up. The size and display will attract customers, while also convenient for your set up and take down at each even or trade show. They may be big and eye catching set up, but they are small and compact when taken down allowing you to take your straight fabric banner anywhere you need. 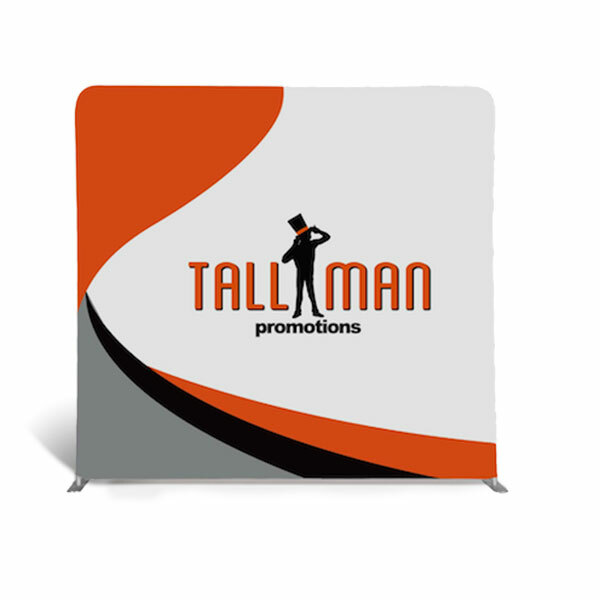 TALLMAN.PROMO straight fabric banner is the perfect way to get attention at any event or tradeshow with their eye-catching designs and size. The fabric banner makes the perfect background or picture wall to display your company, brand or promotion effectively. The straight fabric banner will stand out and can be used in a variety of ways to make sure your event runs smoothly. Fabric display backdrops are made using 260g Elastic Knitted polyester. This product comes in 2 size variations, see sizing tab.